Introducing the white gold Celtic Shield Ring. Handcrafted in Ireland by skilled Irish artisans, the Celtic knot designs used in this ring were inspired by similar designs found on the famous Ardagh Chalice. 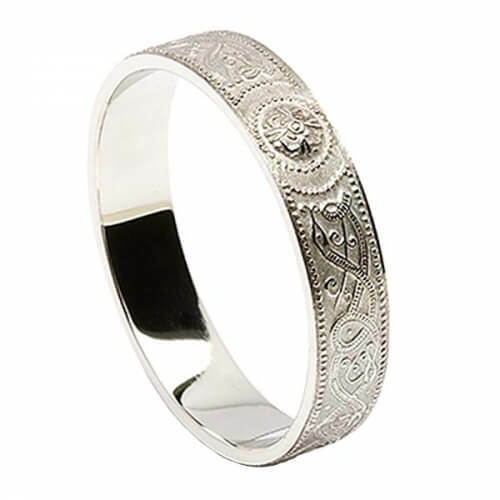 Celebrate your heritage with one of these extraordinary wedding bands. 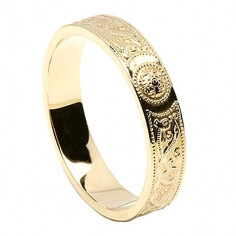 Comes with a luxury presentation box and as always, you can find the stamp of the Dublin Assay office on the inside of the band - your mark of quality.